Nuristani told the media that more than 90 Taliban fighters had been killed and 30 others sustained injuries since Thursday in and around Talawka. Talawka is a strategically important neighborhood on the outskirt of Kunduz city and the Taliban militants have been attempting to overrun the area and get access to the provincial capital. 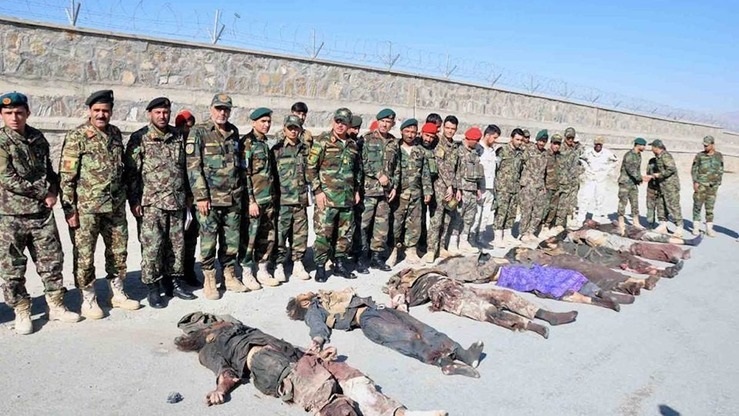 "More than 90 armed rebels including 12 foreign fighters have been killed and the government forces have captured and destroyed Taliban training centers in Talawka and adjoining areas," Nuristani told reporters. Without identifying the nationalities of the alleged foreign fighters, the official said that an investigation was going on. Two U.S. service members were killed in Talawkar on Friday and since then, according to locals the military operations have been intensified. The provincial police chief also admitted that "unfortunately 18 civilians were killed and injured" in fighting for control of Talawka, but he could not give exact figure. A local official on the condition of anonymity reported killing of 13 civilians including women and children and injuries of eight others. Nuristani said, "Ten security personnel were also killed and martyred" during operations in Talawka. However, Zabihullah Majahid, a purported spokesman of the Taliban outfit, has rejected the claim, saying a majority of those killed in fighting are civilians.